Blues Burgers, located off Mockingbird close to Love Field Airport, is a fast, casual restaurant that offers gourmet burgers, sandwiches, and the best fried pie in town. 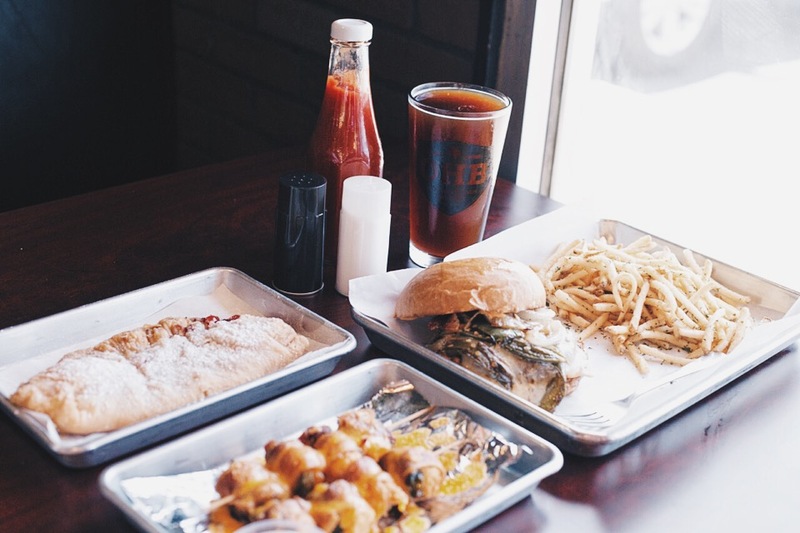 Opened in 2014 by brothers Brett and Brooks Baldwin, Blues Burgers has a cool, industrial vibe. With vintage and current photographs of artists performing in Dallas scattered along the walls and blues and rock music playing through the restaurant, it’s hard not to feel hip while chowing down on a delectable burger. 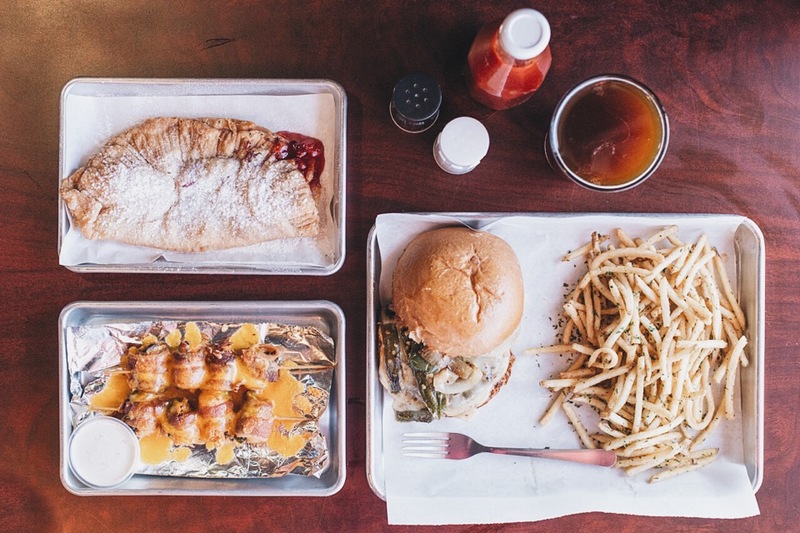 At Blues Burgers, almost everything is made from scratch (including the mouthwatering fried pie crust), local ingredients are sourced whenever possible, and inspiration for dishes is taken from old family recipes. Here you’ll also find a full bar with $1 off happy hour every Monday-Friday. There’s a lot to love about Blues Burgers and lucky for us, they’re carefully beginning to expand to multiple locations. Stay tuned!